Saraswati Jami hails from a small town Gunpur in Rayagada district of Odisha. Situated on the South Eastern Ghats, the town is surrounded by mountains on two sides and nearly 15km far from the Andhra’s border. The tribal dominated area had seen development after the establishment of Gandhi Institute of Engineering and Technology in late 1990’s. Saraswati Jami, 36, a mother of two, took an enterprise loan for her husband’s Kirana shop. The couple used to run that shop until last year when Saraswati's husband decided to shut it down. "We were not able to earn enough to pay the installment and manage our household expenses," she told us. Now, Saraswati's husband has started a Soda shop in another locality. As per Saraswati, the demand for flavored soda is huge in the summer season. She's paying her pending installments only because of the Soda business. Saraswati’s daughter is studying in class 8 while her son is in class 2 in the government school, Gunpur. 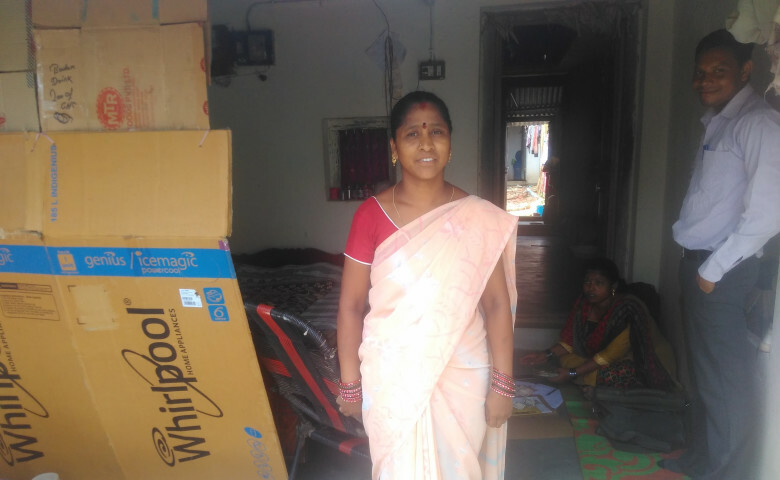 Certainly, this new business has exhibit some hope to Saraswati to manage her family’s expenses but her instinct knows a lot more needs to done to get them a permanent source of income.